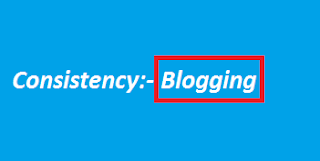 Blogging is the way, which can convert your dream into reality(living style), but for this you have to put effort continuously without looking your temporary stats, because if you will do blog post daily no one is going to stop you to become a professional blogger, but sometimes the stage come in blogging(not newbie not even professional) many bloggers quit blogging, that's why they never see himself or herself there, I will suggest you don't give up keep blogging but don't even stop learning, because there are almost everything changing with time to time, so keep up to date your self with your blog. This is my personal experience, when I have started blogging, I got 100 pages views quiet easily but after that I have struggle to increase my visitors number up to 500 pages views per day, but once I got some genuine points about attracting traffic, I even drive traffic more than 11,000 page views per day to my blog www.engineeringinstitute.in, but now I am working hard to drive more than this number of traffic to my this blog. When I will achieve that target, I will have something special for you guys. Let's talk about what consistency can give you? See, if you will write a blog post daily or probably two to three blog posts in a week, but here is the good thing for you, for this you have learn those things to write in your blog. That means your knowledge will increase day by day, you just have to give time to your blog and to learn more tings. Here is the big thing for your consistency that is whenever your blog readers come to your blog they will get something new in your blog, make sense! Search Engines are really just awesome for new bloggers for getting attention from new as well as long time internet users, I mean if you can use SEO right way then you can become anything as well as everything in this world and as you know internet is the most fastest way to become famous in the world more important is legit way. Make it user friendly and try to write article like pro and make it more useful for readers. Ask for comments, more comments means more green signal which at least I have seen in my blog. by selling my products, of course I do affiliate marketing, currently I got paid from Flipkart as an Affiliate which I used very less other than this I used various affiliate marketing programs, I have simple plan for this year to earn $$$$ in affiliate marketing alone, pure profit and that's good not bad at all. If you wanted to know where I sell my products then let me tell you dear these days I am using Indian Payment Gateway Instamojo and selling my e-books on Amazon for earning royalty commission and its been going good. More important thing is that I am really enjoying this journey, dear yes I forget to share with you these days I am working on a niche blog, which is far away from thinking of many bloggers and even they can not think about it, because it is my own experience and it is going to help lot of people and make me lot of money, I will share with you more in my upcoming posts. Alexa really good for knowing about any website, here is the story about me which make me to get my blog under 100,000 alexa rank. Yes there are couple of tips those work like charm to improve alexa rank, but these days alexa working super fine to make it more useful for people and that is why there are many websites ranking is getting down but hope it will help lot of marketers as well as bloggers. Revenue is the key for inspiration, I am writing this article because I just got paid from Bidvertiser and finally earn more than $932 from two ads network and today I am really feeling awesome and proud of taking decision of blogging and those both of them are Google Adsense alternatives. Other than these two networks I am also earning good money from Google Adsense, okay that is the different story, but if you are thinking about real money then you need to think blogging as business and need to implement and put lot of effort to get success see doing time pass and writing less lengthy content is not going to help you a lot, you have to put lot of effort, time as well as you need to have patience to get success. I mean think about, I have started with having a dream of earning only 50 to 100 RS per day (about $1), as pocket money and in India 100 RS per day still is not bad, but my maximum per day earning cross my per month salary. Of course, I am not a full time blogger but yes I am doing job to create another awesome platform for mechanical engineers, already started working on its soon will write article on it. Don't try to do all thing itself it does not work fine, at least I have experience this. Reputation you will come in day one, but yes if you will keep going that day is not too far, reputation can not build in a day it always takes time, so that is required consistency, what happen when any newbie come to me or any other blogger who is having good knowledge. Always newbie come with super motivated state and show that he or she is going to work hard and going to be next successful blogger, but in reality they can not become because they just don't want to do work hard. So only way to build good reputation of your blog is to work hard to write authority content and become authority person, other things will be followed. Always think long time because its a real business, yes always thinking of blogging as a business and think to be get output in long term, then you will get very good output, what when newbie always try to get output from blogging just like they are working for someone, but in actual you are building business and for building real business it takes little more time. Write about only one topic like if you are writing about blogging tips then only write about blogging tips with different angles, though as a beginner it is not recommended so try any other niche and it will be easier for newbies to get good result in less time. Build your own team to work together but choose people wisely. Almost all bloggers having very good life style, but bloggers, most of them for long time at least 12 hours a day, even there are many those works more than 16 hours a day and they are making history in blogging world. So, think about them how they are working, what newbie do they just think about earning may be they use to calculate earning with traffic but they never calculate time they need to spend to earn that much money. So, I think they need to do it, if you are newbie take my words, it will help you a lot, I am damn sure about it. Blogging business is a real business that's why I blog. Expending means increasing your reach, means networking and networking with other bloggers in your niche, which is the key to get success. These days I am putting concentration only these two sources to focus more because putting effort in many can not help me to focus so, I am putting effort only on two sources and both are just awesome, try you will get very good guidance and positive response. Here I have used Steve Jobs concept, I always try to hire, who is better than me, but always remember you must have good knowledge of it, what they are doing otherwise you are not going to get good output from them. But, yes you have to hire people those are really smart in working, I mean they can work long time with good concentration & of course one more thing which I have learnt from Charles NGO who is damn fine super affiliate marketer the tips is pay your employee fair to get good output from them. See, one more thing you need to implement, when you will have your own company. don't just try to get work from them rather try to do something, that's why they will be happy. But all these, you can get only, when you are going to be consistent in blogging otherwise it is difficult to become a professional blogger, there is a simple reason behind of this(every one wants to become professional blogger). Have any problem contact me, I will help you, oh absolutely free! I know it is tough to maintain consistency without inspiration, for this you need to keep reading other blogs as well as their earning report. Another one thing to do is, just set target that you will do something everyday to see achievement next day. If you will keep going like this you will one of the famous blogger. You are right this is really helpful for newbie those just wanted to earn money but they don't want to work.